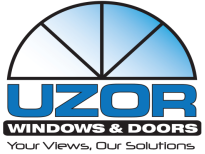 Euro View - Uzor Windows & Doors Inc. The EuroView is a commercial grade window and door system that utilizes all the benefits of PVC to satisfy acoustic, thermal, security and structure requirements demanded by architects and building owners. Advanced German engineering combined with the latest Canadian manufacturing makes the EuroView system among the highest performing in the market today. 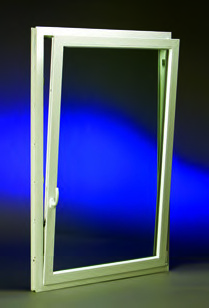 The Uzor Tilt & Turn window is a dual functioning window designed to provide ventilation, security, emergency egress and easy cleaning from the inside of the room. featuring single handle operation simple turn the handle 90 degrees and it swings in (this turn function may be key operated for safety) turn the handle 180 and it tilts in to a secure position at the top providing ventilation and security. Tilt & Turn Hung look. The Uzor Sliding window is offered as a 2 lite configuration fixed and operable sash combination and multi-point locking. The commercial grade sash smoothly operates on steel rollers gliding along a steel track. 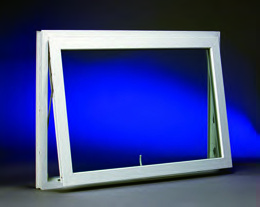 Our European style casements use projection friction stays and espagnolette locking instead of crack handles. The windows hinged sash swings in or out providing greater ventilation than typical hungs or sliders. 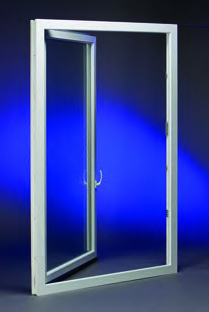 These casements can provide emergency egress if needed. The awning and hopper window styles are often selected for small spaces because they open completely allowing for positive ventilation. Awning windows are hinged at the top, opening out and are designed to circulate air while protecting the interior from light rain. 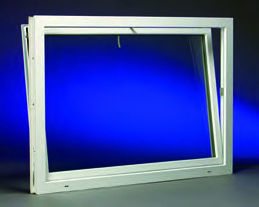 Hopper windows are hinged at the bottom, opening in and are designed to offer ventilation and security. Awning windows are commonly used in a combination with casement or fixed window units to add appeal aesthetics as well as ventilation while hoppers are generally used in ground level rooms providing ventilation and security. Built with the Tilt & Turn frame our Picture windows are fixed units used singularly or mulled in groups with other non-operable units or in combination with casements, awnings or doors. 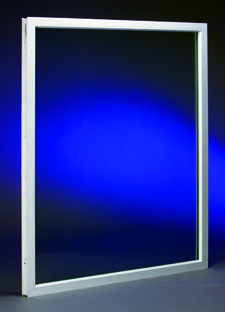 Typically, picture windows are used where a focal point or maximum light admission is desired or as strip or ribbon windows as used in commercial construction.